So far more than 40 DEMOCRATS have announced their intention of boycotting the peaceful transfer of power. After eight years of Obama there are only 194 Democrats left in the US House of Representatives. That means more than 20% of Democrats are boycotting the Trump Inauguration. 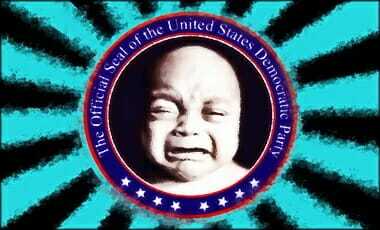 The Cry Baby Party is having a rough time adjusting to the fact that they have become a coastal minority party. Some of the reasoning behind this choice can be found here at WCYB 5-NEWS. These actions by Democrats will further split the Democrats and ensure them becoming MORE of a municipal party in 2018 and 2020 — keep it up! As an aside, John Lewis uses so much rhetoric, he forgets what he has done/said in the past. This video tears many aspects of the “racial slur” incident said to of happened by Tea Partiers towards two black congressmen. There has been some back and forth going on on this topic over at POWER LINE BLOG that will enlighten the reader here to what is still going on with this story.